You'll be £15.99 closer to your next £10.00 credit when you purchase Indoor Wildlife. What's this? 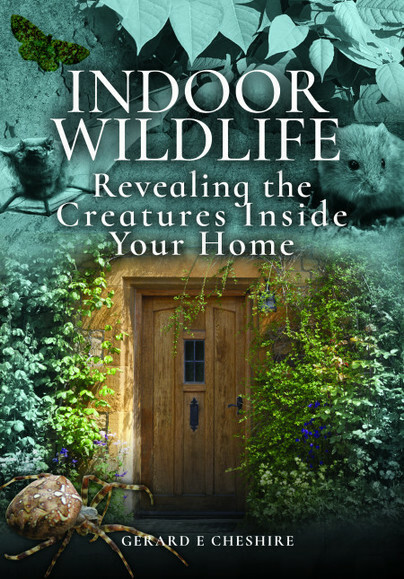 Indoor Wildlife is a book that looks at our houses and other buildings from the point of view of wild animals and plants. Some come indoors to hibernate, some come indoors to find food and others come indoors to set up home. Still others use the walls and roofs of our homes, as well as our garages, sheds and outhouses. All-in-all, we share our homes with all kinds of fauna and flora. Some species can be tolerated, while others can be a nuisance or even harmful. Ultimately, our homes offer artificial habitats to these species, so they accept the invitation. Controlling them is a matter of understanding their ecological requirements. The photography in the book is beautiful and it is full of interesting information...I loved this book, it is genuinely fascinating. It is written in an knowledgeable and accessible way.